Let me start by saying, "I'm sorry I haven't been up to par with posting recipes or crafty things!" Life happens, it's been a busy week and my kids have been a little under the weather. I promise to do better! Here is a quick and yummy recipe I've adapted from a family friend! 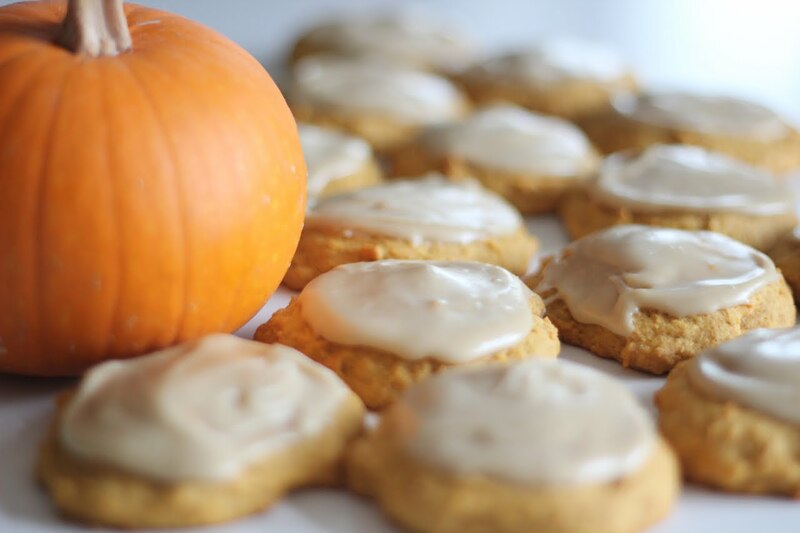 Oh how I just love a good pumpkin cookie and this one goes a mile beyond with the addition of a sweet and creamy brown sugar frosting! Enjoy! In a saucepan, over medium heat melt 3 tablespoons of butter, 4 tablespoons of milk and 1/2 cup brown sugar together. Stir constantly once it begins to boil. Stir for 1-2 minutes. Make sure the mixture doesn't burn. Take the pan off the heat and let it cool slightly. About 15 minutes. Add and mix thoroughly 1 cup powdered sugar. Frost each cookie with a little dollop of the icing and eat them up. Makes roughly 35-40 3 inch cookies. Those look divine - I'm going to love them. Man these look good! And I have ALL the ingredients. Hot Diggity! And it's cool enough to bake today. Cleaning the entire house will be much less unpleasant if I have something baking. Haley, they are divine! You've gotta try em! Kalani, I hope you made them and loved them!